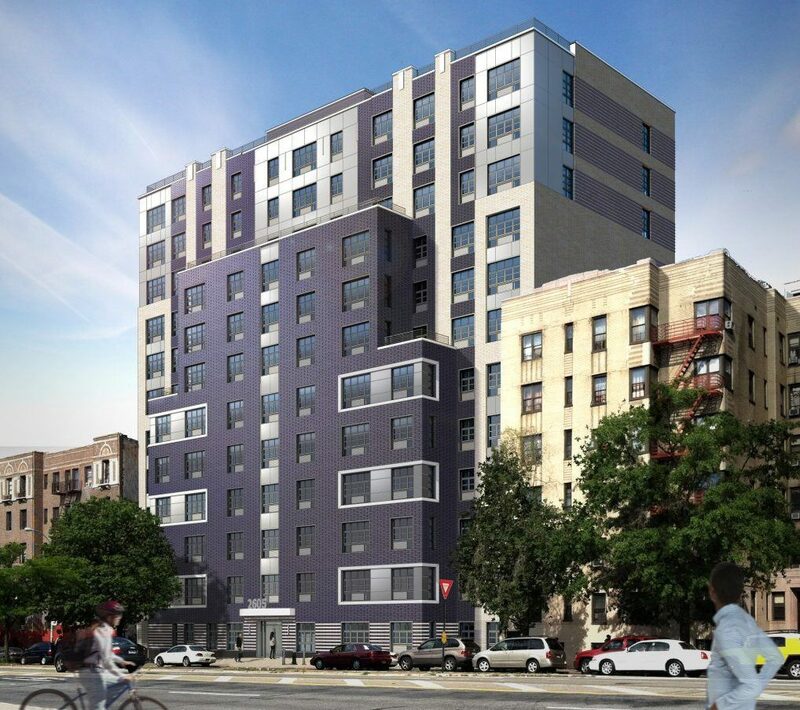 Applications are now being accepted for 93 newly constructed mixed-income apartments at 2605 Grand Concourse in the Bedford Park neighborhood of the Bronx. Built by Douglaston Development, the 12-story building is one of the first ground-up residential projects along this Bronx thoroughfare in decades. 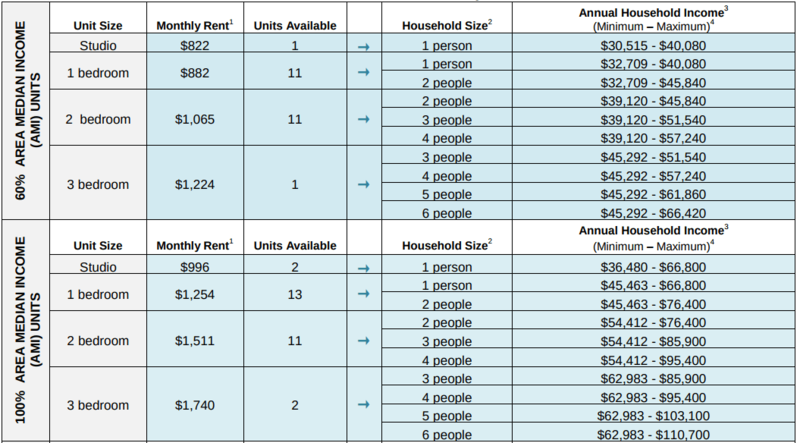 Qualifying New Yorkers earning 60, 100 and 130 percent of the area median income can apply for units ranging from $822/month studios to $2,190/month three-bedrooms. The building’s Art Deco design gives tribute to the architectural style of buildings seen along the Grand Concourse, complementing the existing structures. Opening in the spring of 2018, the building is expected to meet top standards of environmental and energy efficiency. Residents will be able to enjoy a 5,000-square-foot green rooftop and backyard, as well as on-site parking. Plus, it sits just steps away from subway, bus and commuter rail transportation and is adjacent to St James Park. Qualifying New Yorkers can apply for the affordable apartments at 2605 Grand Concourse until February 8, 2018. Complete details on how to apply are available here (pdf). Questions regarding this offer must be referred to NYC’s Housing Connect department by dialing 311.